K.J. 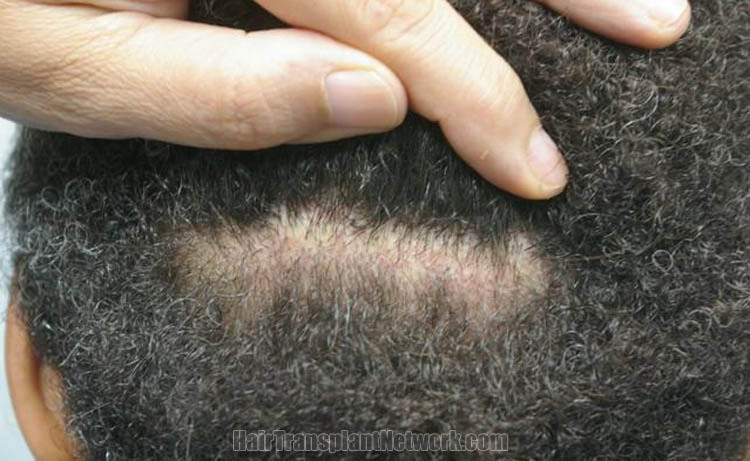 , 47-years old, African descent, male, had extensive hair loss from front to the crown (Class Va). He has coarse, extreme curly hair. 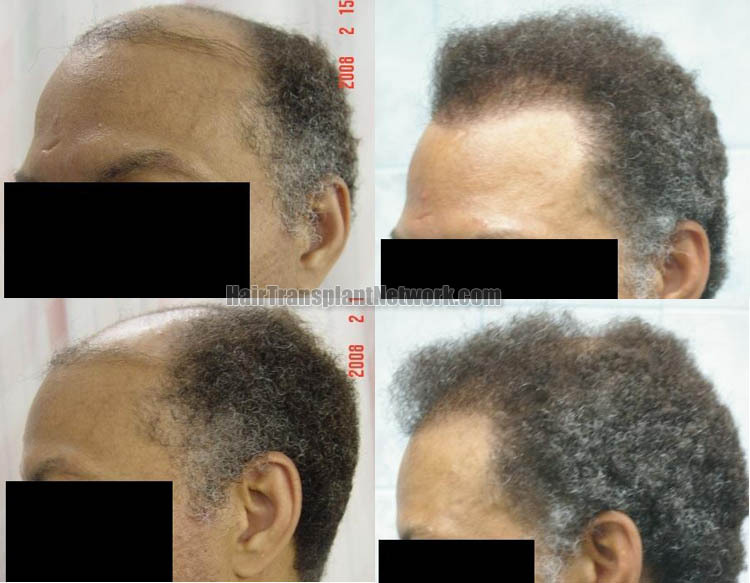 He underwent FUT strip technique air transplant surgery with a total of 3371 grafts with a breakdown of 1-hairs 864, 2-hairs 2162, 3-hairs 285. Total number of hairs were 6043. He returned 1 year and 4 months after surgery , very pleased with the result and wanted to have more session on the crown and add some density at the front. Before and After pictures are shown below. 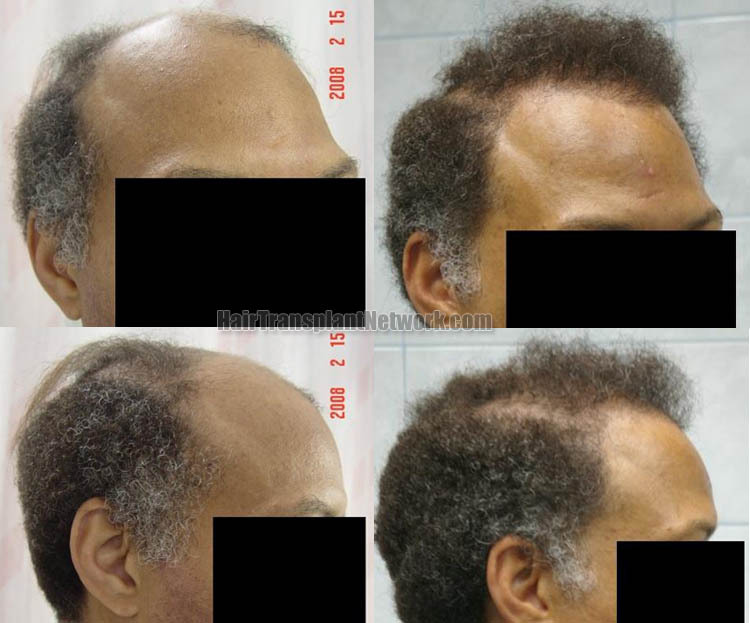 Hair restoration surgery using 3371 grafts shown from the front, viewing before and after pictures. 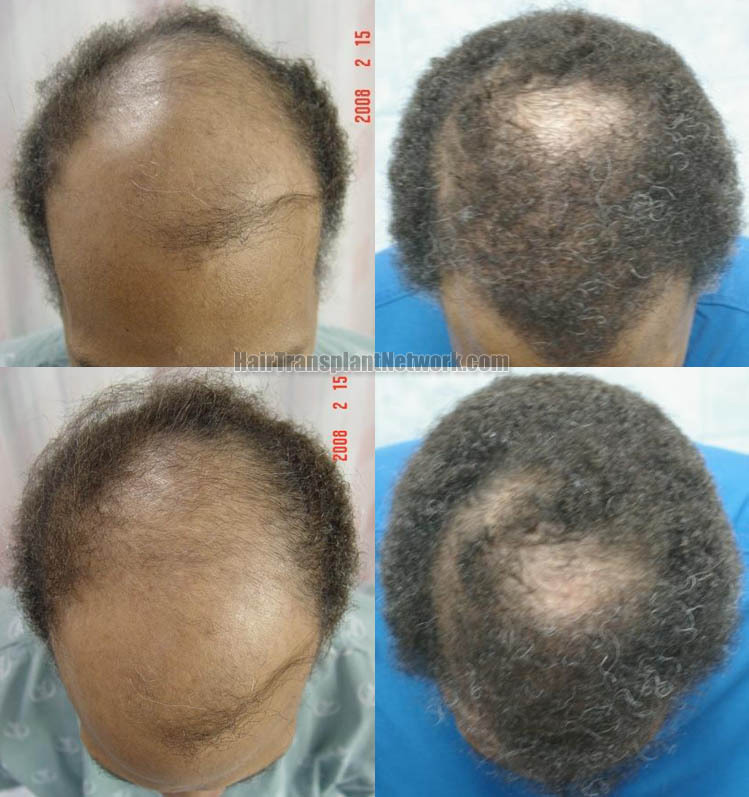 Hair transplant surgery using 3371 grafts viewed from the top, displaying before and after photos. Hair restoration surgery with 3371 grafts displayed from the left, viewing preoperative and postoperative photographs. Hair transplant procedure with 3371 grafts displayed from the right, viewing before and after images. 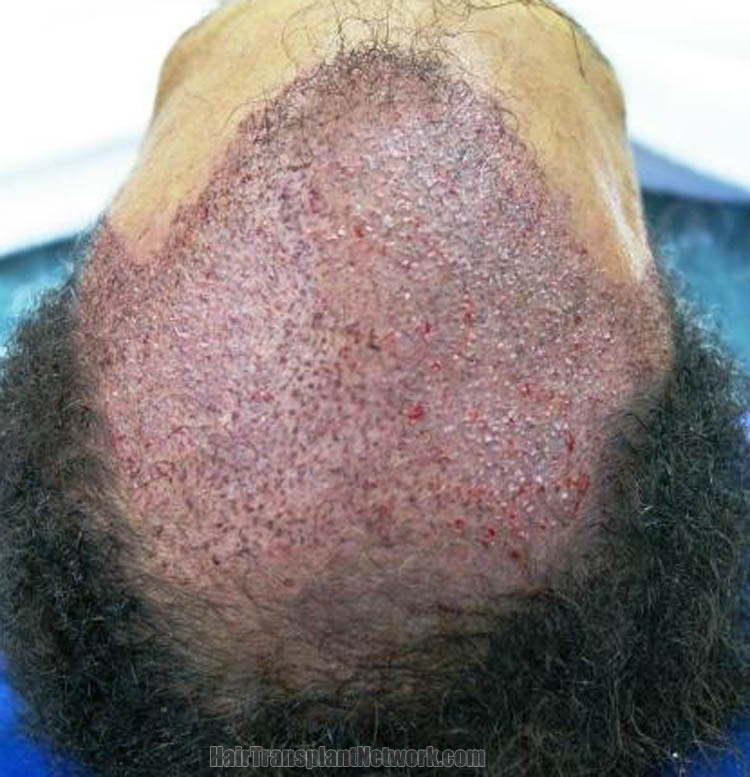 Hair transplant procedure using 3371 grafts displaying the patient’s residual donor area scar one year postoperative. Hair transplant surgery using 3371 grafts displayed from the top, viewing an immediate postoperative image.